Looking for that perfect wedding gift? 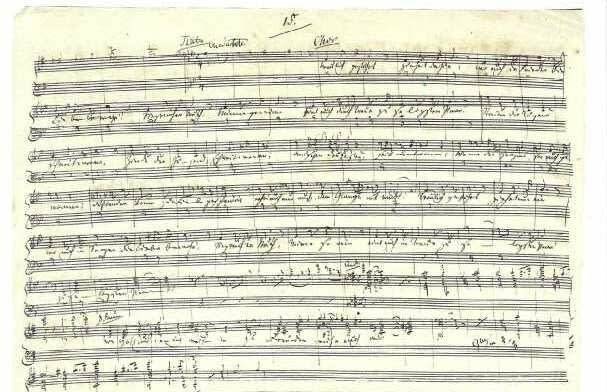 For a cool $3.6 million, you can purchase Richard Wagner's original manuscript for the Wedding March -- more commonly known as "Here Comes the Bride." The handwritten score for the march (originally titled Treulich Geführt) is listed as a fixed-price sale on the website momentsintime.com. It was originally penned by the German composer in 1850 as part of his opera, Lohengrin. While it often used without lyrics, the original chorus was sung at the beginning of Act Three. After the ceremony, the wedding party sings the chorus as they accompany Elsa to the bridal chamber. The piece was first made famous in 1858, when it was used as the processional at the wedding of Prince Frederick William of Prussia and Victoria the Princess Royal. It continues to be used as the bridal entrance music for many weddings throughout the Western world.